What customer expects from a Restaurant? Providing your guests with a sincere greeting is the best way to set the tone for the dining experience to follow. Customers want a smiling face. Customers want knowledgeable staff members. Customers want a clean restaurant. Best Restaurant Consultants in Hyderabad, India. For Inquiry , Talk to us on 7207071699. A good menu should work for the customer, the employees who prepare the food, the management of the food service establishment. If you fulfil the requirements outlined as follows, you will have a good healthy business in your establishment. It should be pleasant. This means an attractive cover, clean, light-colored paper, well-organized layout, easily-read type. The items mentioned in the menu should be temping; Brief description of the food eases the work of service staff. The Menu items should be fairly priced to derive the maximum satisfaction from the customer. The Menu should contain Variety so that it can differentiate easily by customer from the other food establishments. Seasonal spread and the days special will grab the attention of the customers. Restaurant should give a memorable experience to the customer to visit again and refer our restaurant in his / her social circle. Quick service and trained staff to serve the food. Should distribute work load evenly among various departments. Should be well groomed with proper attire and a smile on his face always. Should be very quick and understand peak hour of the restaurant operations. Should maintain their departments with utmost hygiene. Should be time bound and punctual to their departmental operations. Should take the challenges at any given time. Should follow the SOP’s of the restaurant. Should be always conscious with Loss control and waste management. Should understand the Menu fully. Should attend the customers and look after the well being of the guests. Should work as manager and make sure that the Work flow runs smoothly. Should prepare the budgets for each department. Should meet the budget s as per schedule. Should always think about profit maximisation from customer satisfaction. Should keep the right staff in the right place. Why Feasibility study is important for a Restaurant business? Feasibility studies offer you the chance to “get it right” before committing time, money and business resources to an idea that may not work in the way you originally planned, causing you to invest even more to correct flaws, remove limitations, and then simply try again. Feasibility studies may also open your eyes to new possibilities, opportunities and solutions you might never have otherwise considered. Budding Entrepreneurs who start new restaurants may overestimate the size of the market in their area and not take into account the tough competition they will face from established restaurants nearby. Doing a feasibility study prior to investing the time and money to open a restaurant can help an entrepreneur make a more informed decision about their chances of success? A high-traffic location is preferable, one close to major streets with lots of visibility to vehicle or pedestrian traffic. Make sure parking is ample and easy for customers to access. Look for businesses in the area that could create demand for your restaurant or Food Court – large office complexes, hotels or retail centres for example. Be sure to consider the trade-off between a location’s suitability and the lease cost. new restaurant with high Rental can make it extremely difficult for the Restaurant / Food Court to reach positive cash flow. Studying demographic characteristics such as age and income will help you estimate the size of your potential market. If you are planning a mid-price, family-style restaurant for example, you need to know how many families reside in your area. A heavy population of singles or college students will probably not support your restaurant. Look not only at the total number of restaurants in your immediate area but also at the styles of restaurants that are prevalent. 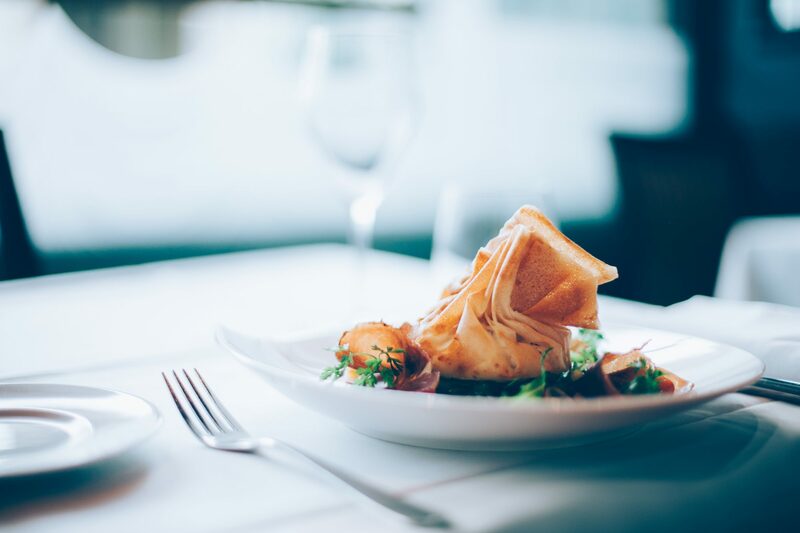 Consider whether your area is already saturated with restaurants similar to the concept you will be offering — similar cuisine, price point and target markets. Analyze the strengths and weaknesses of each major competitor and determine whether your proposed restaurant will stand apart from competitors and be memorable to customers. Once you have a good idea what type of food you want to offer, break down the cost of each menu item. Determine who your major suppliers will be and ask them for pricing. POS software’s are available to help you accurately calculate projected food cost. You may consider reducing the number of items on your menu to keep food cost down..
An entrepreneur contemplating opening a restaurant should take a hard look at whether he has the skill set and experience to make the venture a success. He should ask himself whether he has the eye for detail to maintain high customer satisfaction. He needs to understand how to make the kitchen operation run smoothly. He may determine that it is not feasible for him to be the general manager of the restaurant’s operations and elect to hire a manager who already has a track record of success in the industry. As a Restaurant Consultant what JFC Food Consulting do? JFC Food Consultants are professionals who are hired by owners of restaurants and other food establishments to help them thresh out issues in various aspects of their business. Restaurant owners may engage the services of a restaurant consultant when they are already in operation or they may hire them before they open for business. The work of JFC Food Consultants will depend on Clients needs and the kind of solutions they are opting for. As a Restaurant Consultant, we offer plans, advice, training, and support for improving all aspects of the restaurant. First, we will spend some time observing how the restaurant is currently run. This involves eating the food, interacting with the Hosts and Servers, seeing how the kitchen operates, and looking at the numbers. As a Restaurant Consultant, we will get to know the establishment from the inside out. At JFC Food Consulting, we offer clients suggestions on making changes to the menu, interior design, brand and concept, spending patterns, and treatment of customers. We’ll train management and staff to make sure they have the necessary tools to carry out the improvement plan. After the plan is under way, we’ll continue to check in regularly to see how the restaurant is doing. In case of a New Restaurant, We’ll be starting from scratch and working with the owners to develop the original concept, food selection, ambience, and daily operations of the business. Either way, our expertise and creativity will help out your restaurant business and improve the dining experiences of desired clientele.